A vacation in the Bahamas goes awry, and a woman from 2009 unexpectedly finds herself in the 18th century -- amidst pirates. Sabrina is so consumed with her present-day problems that the last thing she expects is to suddenly end up face to face with real pirates. The notorious bad boys of the Golden Age of Piracy, Edward England, Howel Davis, and “Black Bart” Roberts, become Sabrina’s means of survival in the past, and ultimately, her key to returning to the future. The catch? Sabrina happens to be carrying a book about pirates when she is swept into the past, and that book contains biographies of the very men she meets. She forms relationships with them and learns that, contrary to what she previously thought, they are sailors, servants, and slaves who were pressed into service, victims of social and historical circumstances of the era. She begins to wonder: Can she use her knowledge to change the past? Is her knowledge a blessing or a curse? I was blown away by this book. I do not usually like historical fiction books but this one is so good. 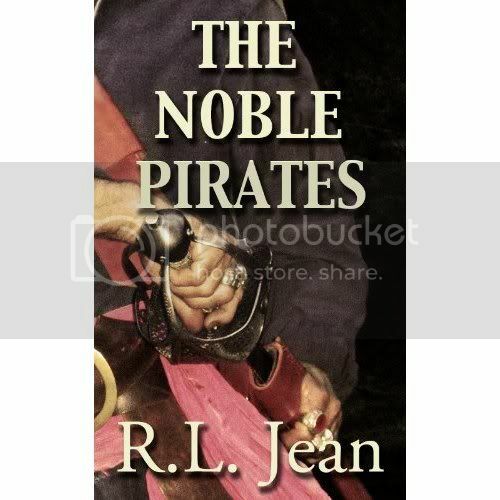 R. L. Jean did a wonderful job and it shows that she really did her research on 18th century pirates. If you are into this kind of novels or even if you are not I really recommend this e book to all of you. If you want to buy this ebook you can do so at amazon.com or at Smashwords . I never got into historical fiction, but this story sounds interesting.